(PRESS RELEASE) Nestled within the historic Royal Palms Resort and Spa lies Mix Up Bar, an inviting and inventive craft cocktail bar serving up seasonal, handcrafted garden-to-glass cocktails and shareable dishes. 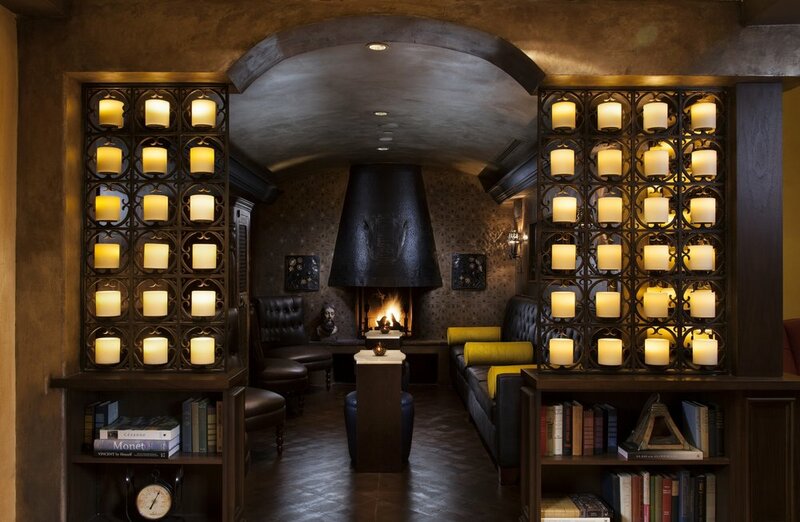 Named “The Coziest Restaurant in Arizona” by Food & Wine Magazine earlier this year, Mix Up Bar is refined, yet casual, with roaring fireplaces that lure you in, rich leather chairs that entice you to stay and residential-inspired décor that harkens back to the resort’s 1920s heritage as a private estate. The dimly lit, cozy bar is directly connected to the iconic T. Cook’s restaurant, making it the perfect destination for pre-dinner drinks or a place to catch a nightcap. Desert Rx ($15): Desert Rain Gin, Western Sage Gin, Dolin Blanc, AZBL Orange Sunshine. This refreshing cocktail is inspired by the desert rain and has invigorating fennel, saffron and fresh orange notes that give the gin some real pep. Horchata-lada ($15): Zaya, Tuaca, Amaro Bravo 14, Coconut Cream, Almond Milk, AZBL Mi Casa. This rich and creamy concoction is the grown-up version of the Mexican favorite. Cherry Rye’d ($15): Knob Creek Rye, Cynar, Cherry Heering. 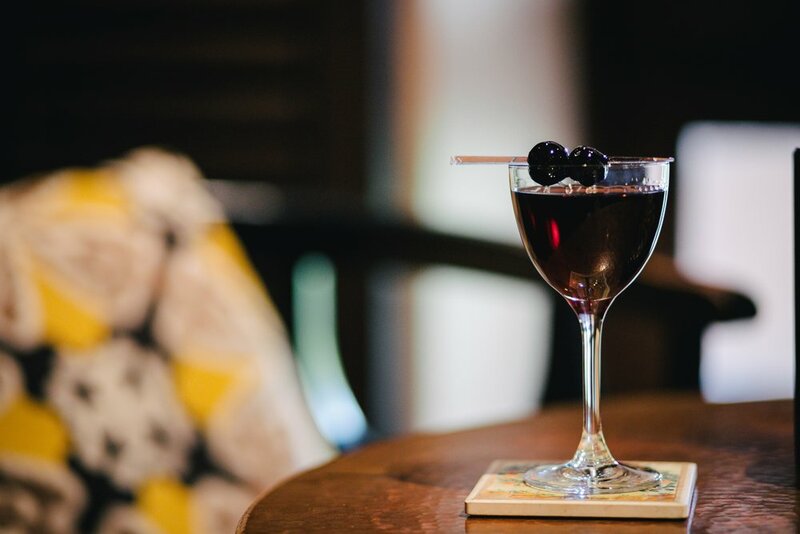 This cocktail combines dark, rich flavors with a bright pop of cherry. He’s Peachy ($15): Chivas 12 Year, Breckenridge Bitters, Crème de Peach. This drink is an easy sipper, with smokiness from the scotch and floral notes that create the perfect combination of dry, sweet and bitter. Il Fumatore ($15): Vida Mezcal, Punt e Mes, Campari, Nola Coffee Liqueur. Translated to “The Smoker” in Italian, this smoky mezcal cocktail is warm and inviting and the coffee and chocolate notes create layers of flavor. These cocktails are perfectly paired with the bar’s food menu like the Mediterranean Black Mussels ($13), Flat Iron Steak Sandwich ($17), Braised Beef Short Rib Tostada ($7), Smoked Potato Croquettes ($7) and Harrisa Edamame Hummus ($12.50), to name a few. Happy hour is Sunday through Thursday from 3pm-6pm, but you can also take advantage of daily specials like Shrimp Cocktail Mondays ($1 shrimp cocktail), Tostadas & Tequila Tuesdays ($5 tostadas, $8 margaritas), Wine Wednesdays (select wine specials), Bourbon & Burgers Thursdays ($8 burgers and $8 select bourbon, select bourbon cocktails), plus live music Thursdays from 6pm – 9pm and Friday and Saturday nights from 7pm to 10pm.